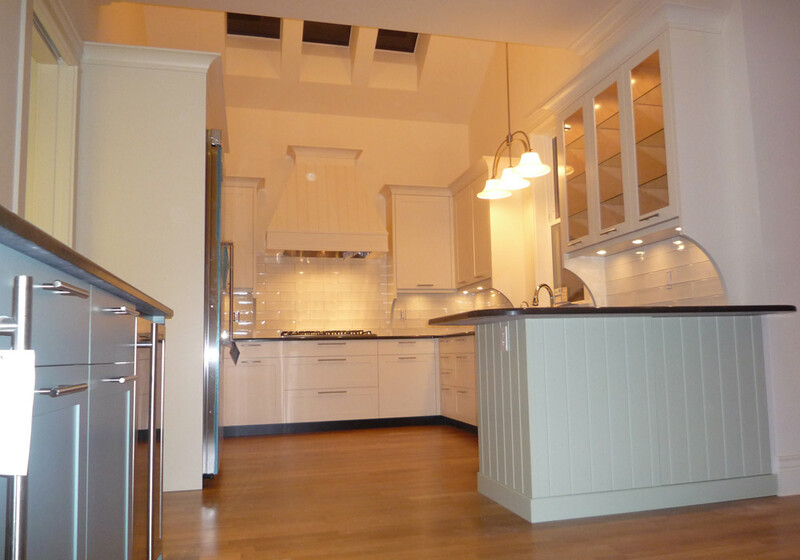 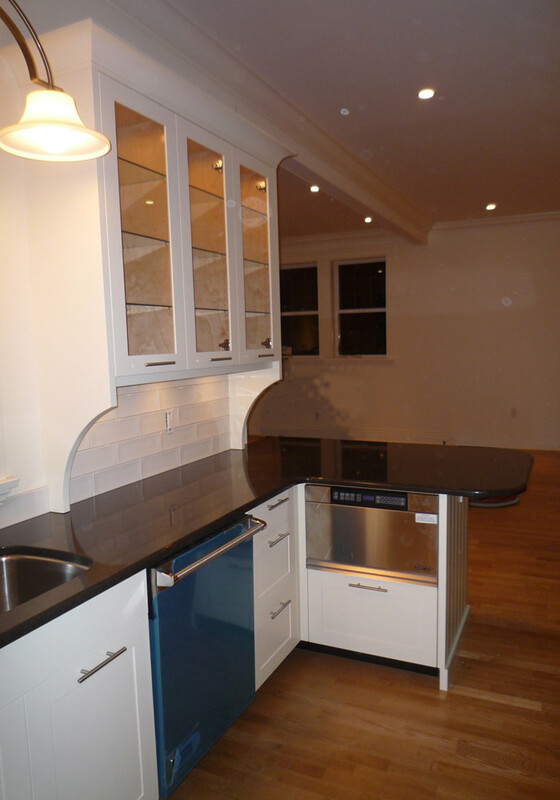 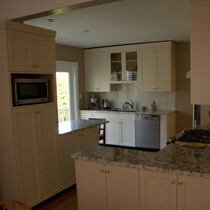 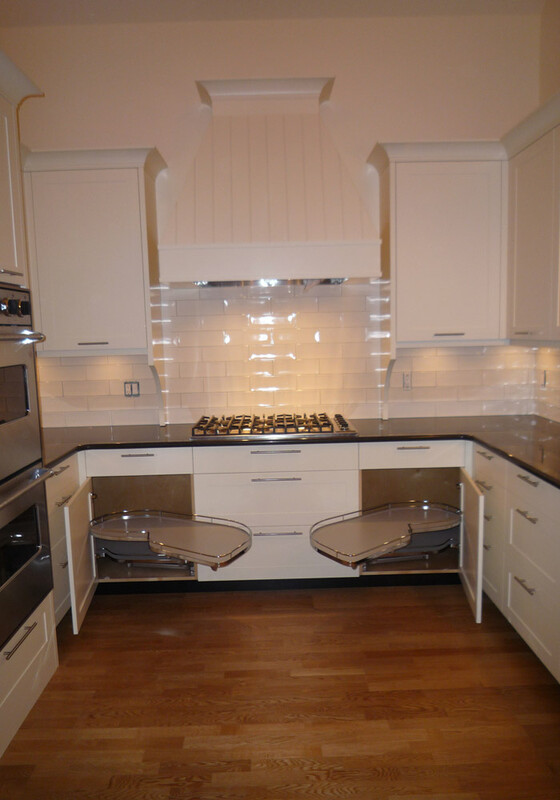 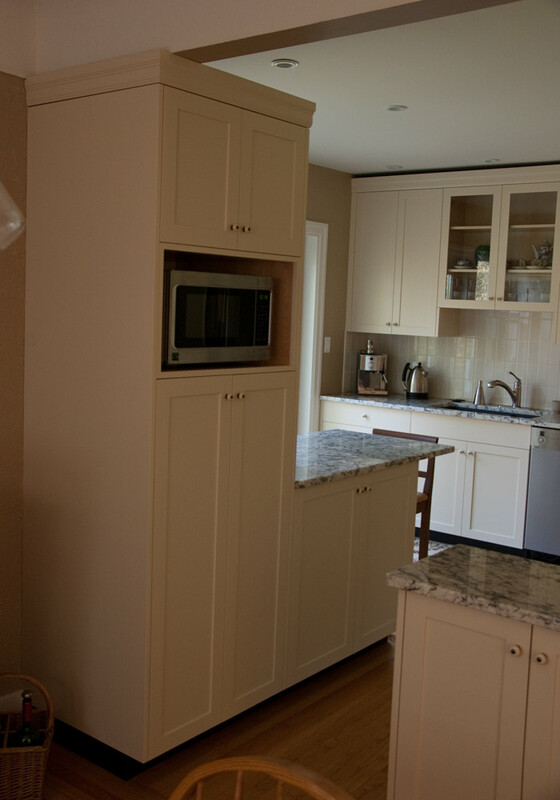 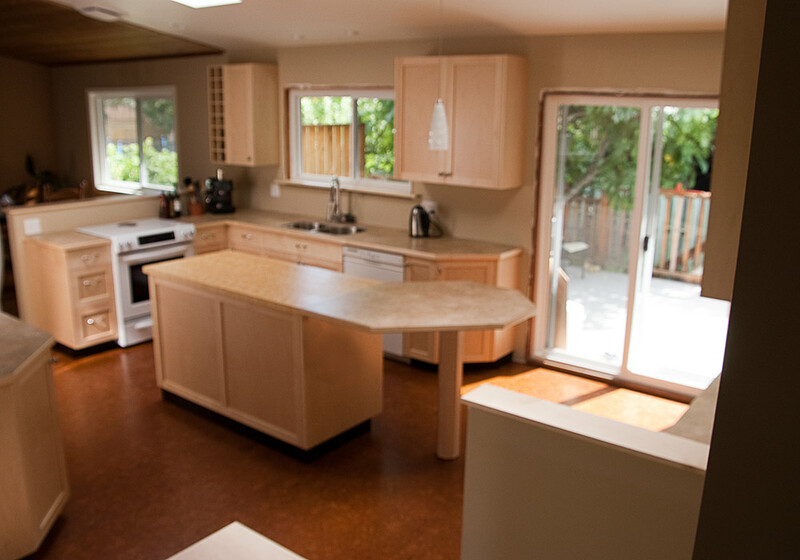 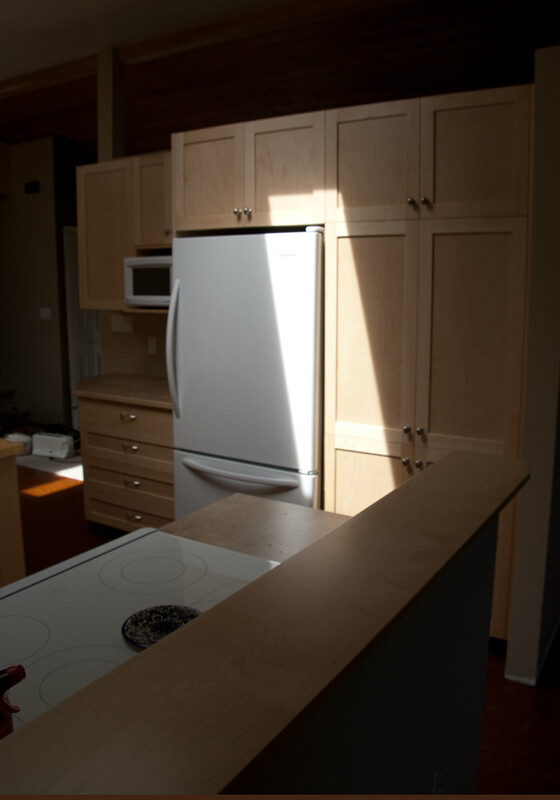 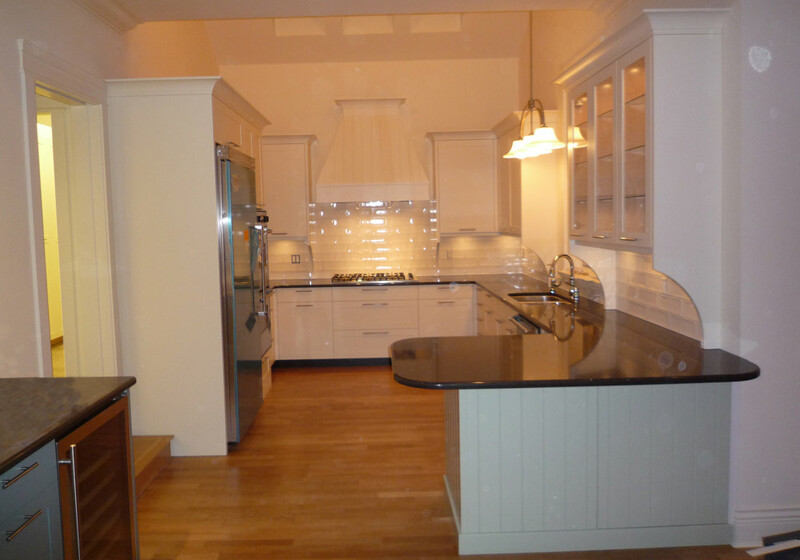 This project was actually two kitchens; both sides of a newly built duplex. 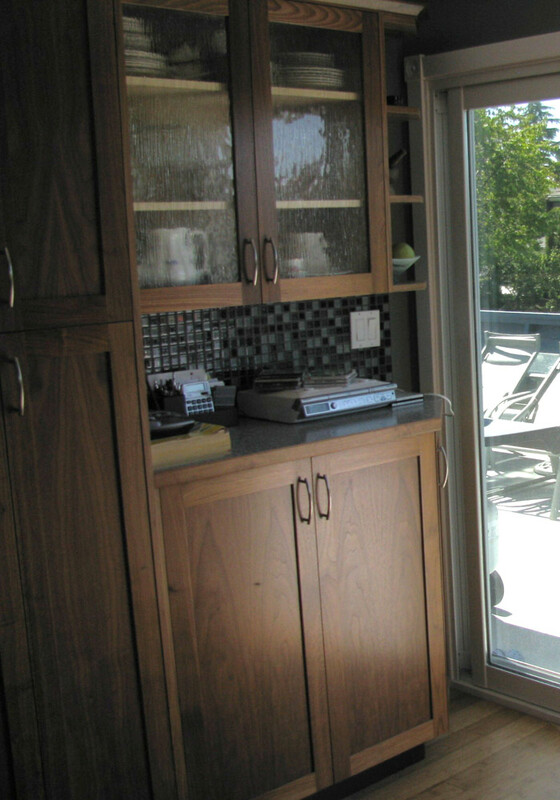 In frame doors demand a higher level of attention to maintain consistent shadow lines around the faces. 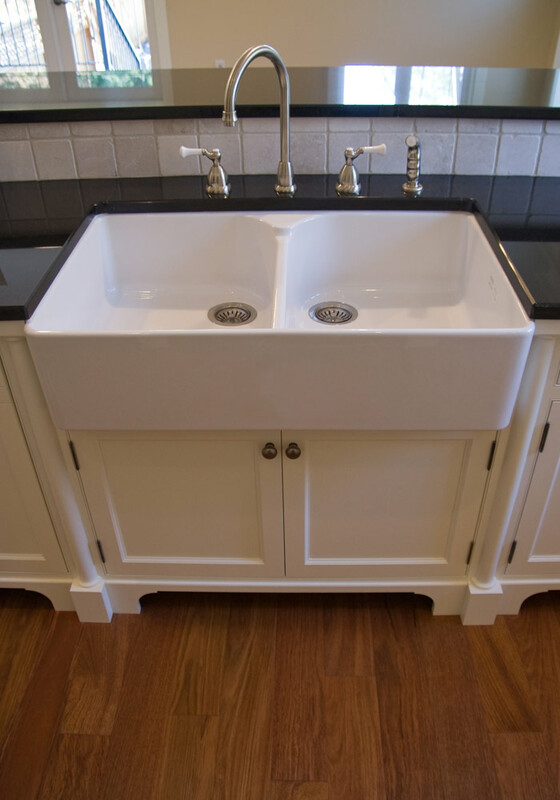 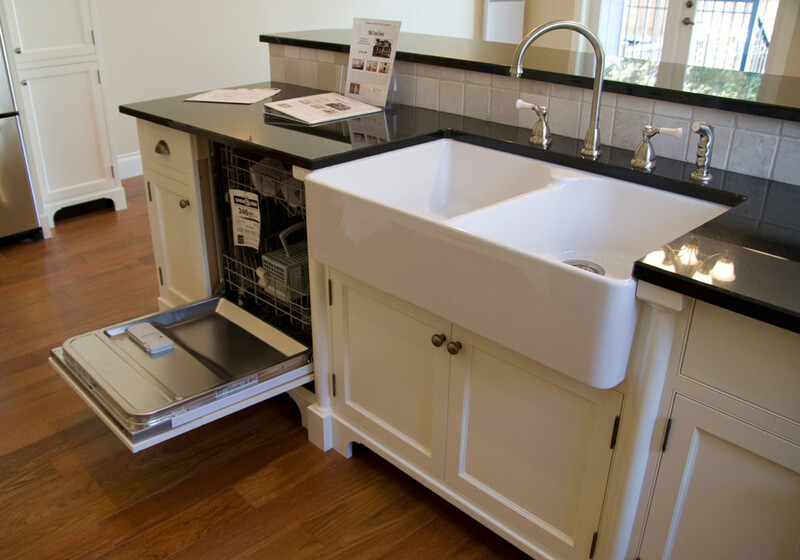 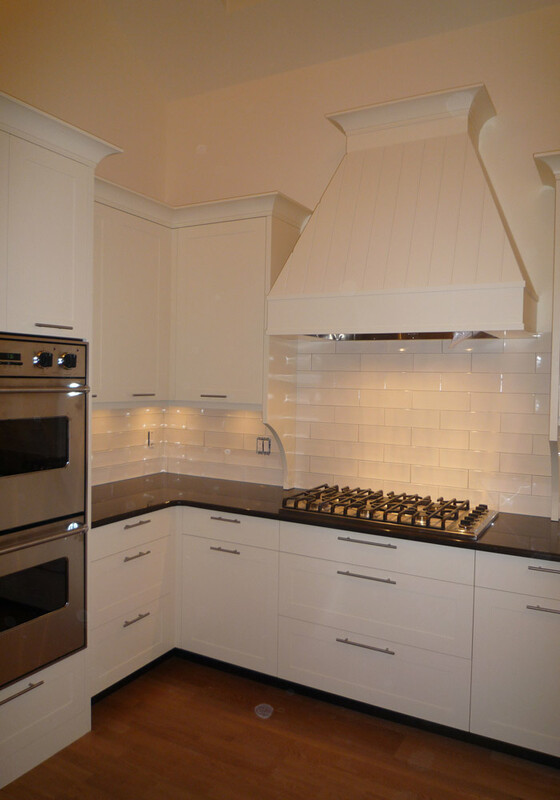 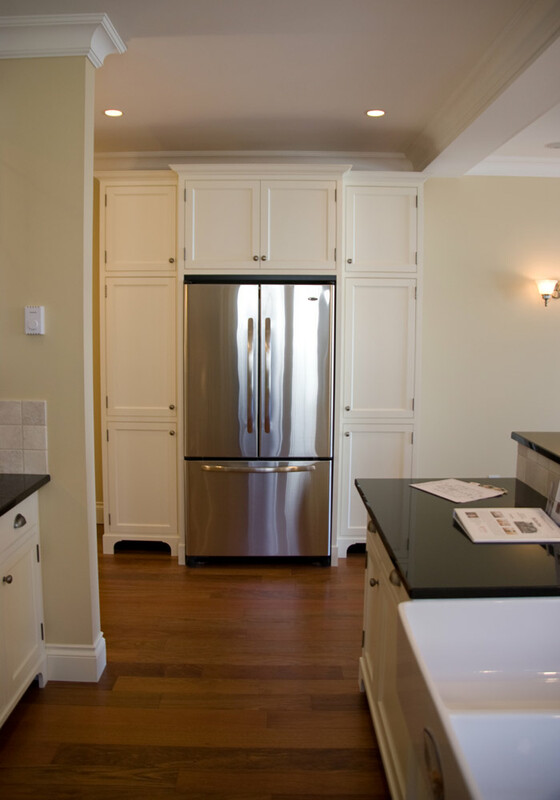 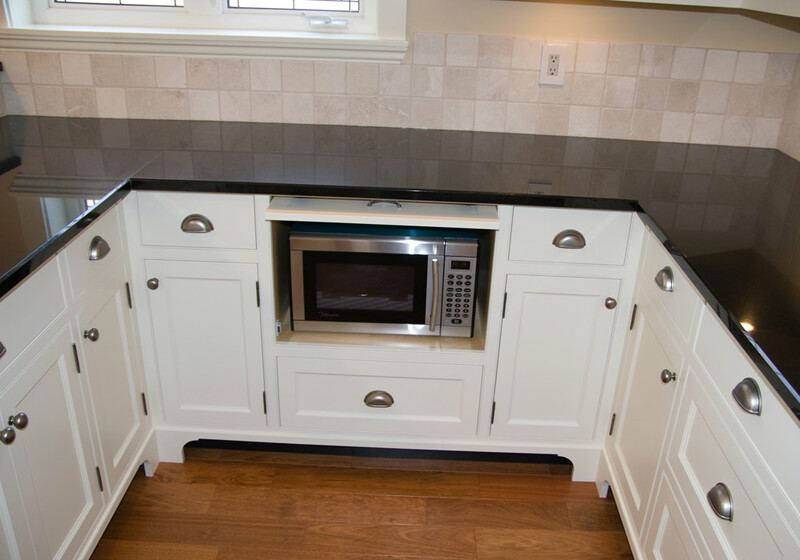 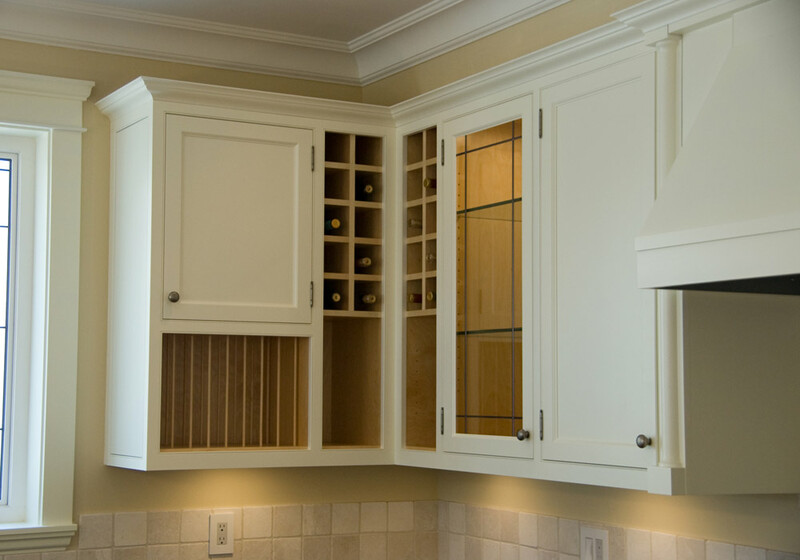 Custom features include hood enclosure, pillar details, beaded faceframe element, wine rack and plate rack. 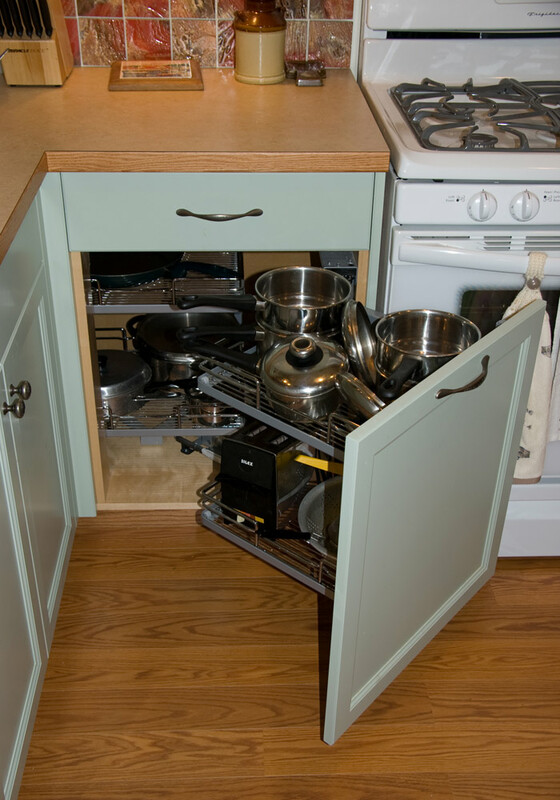 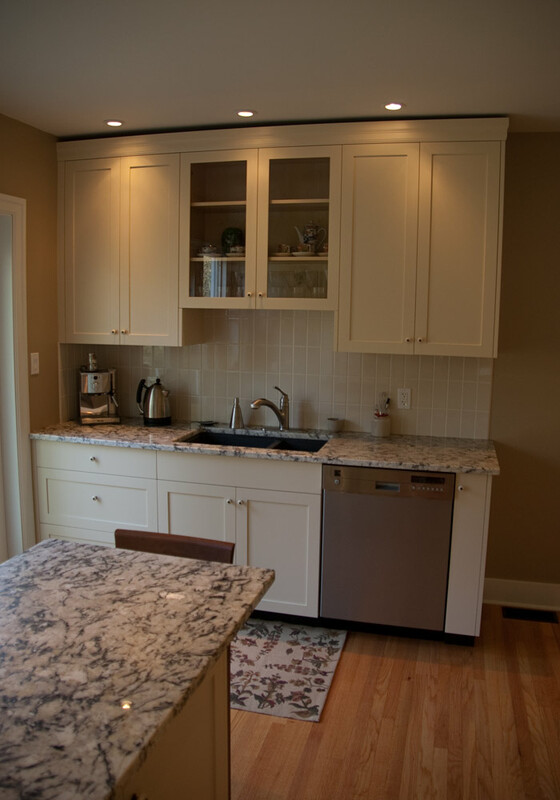 This kitchen was planned by a local designer. 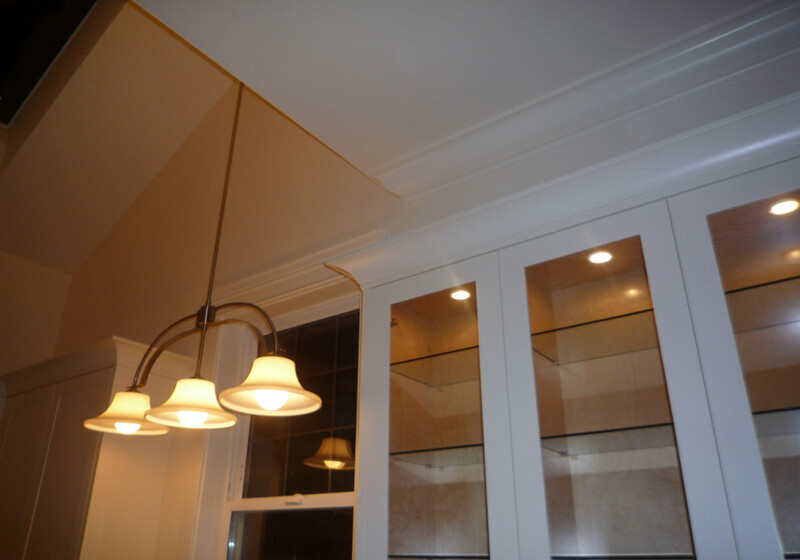 When working from someone elses plan, we go over the design with the client and designer to ensure that the aesthetic is properly translated. 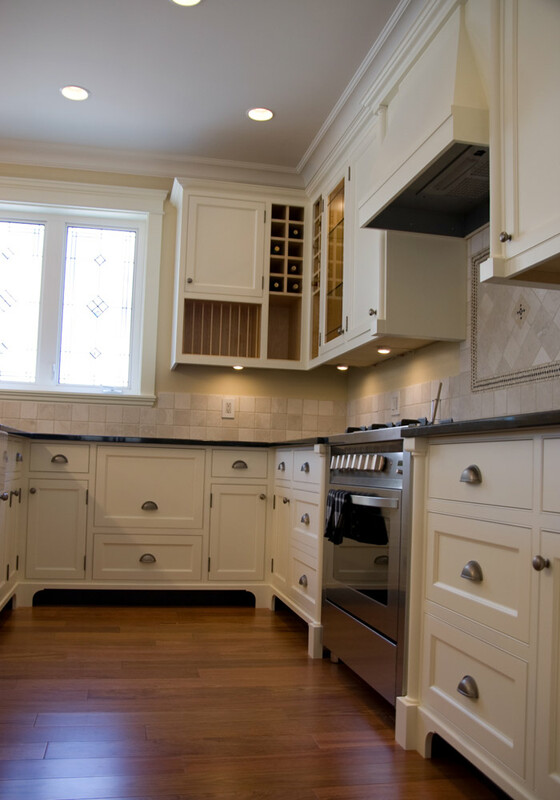 It will often be necessary make small adjustments as designs often focus on the overall aesthetic and not how best to build something. 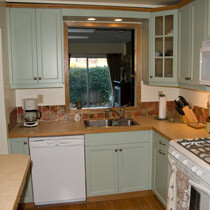 Kitchens have become more than just a place to cook. 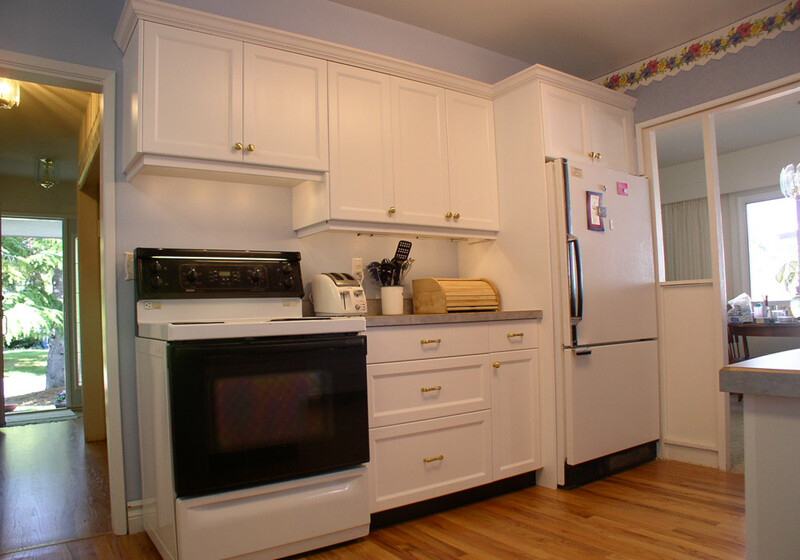 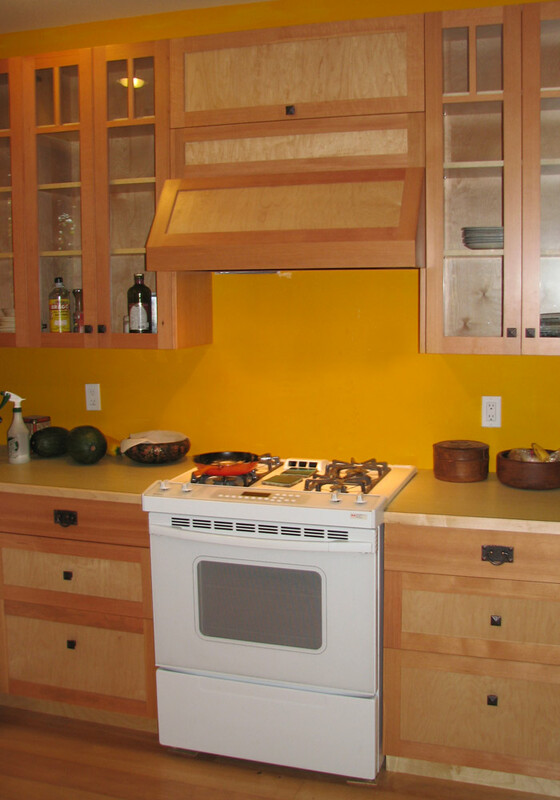 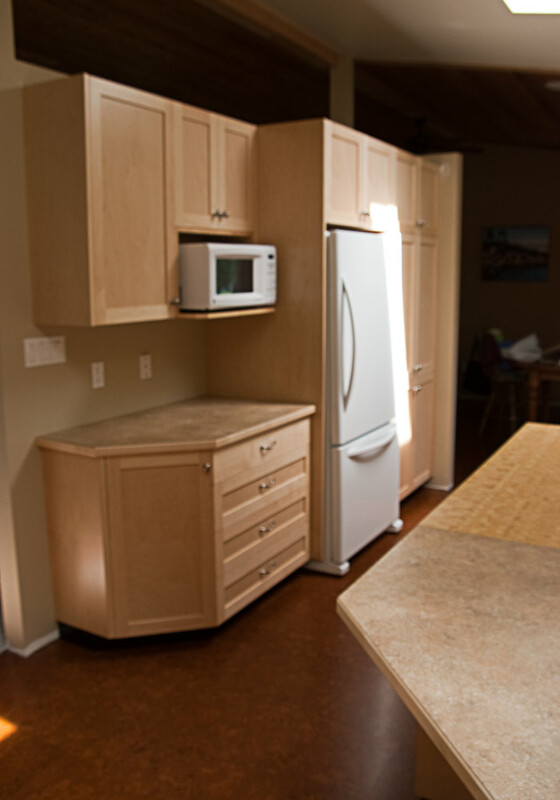 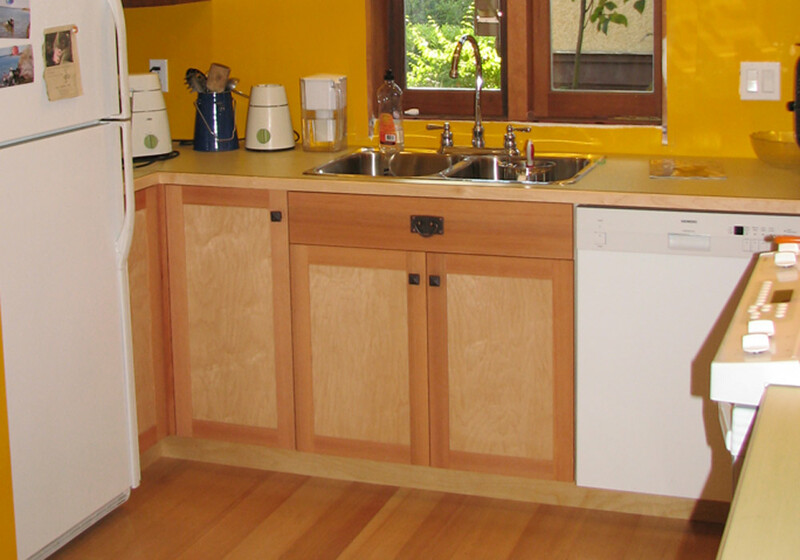 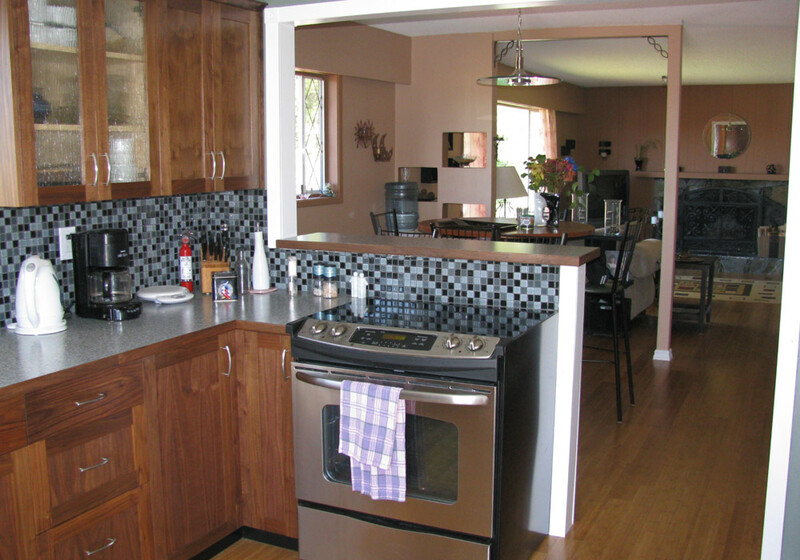 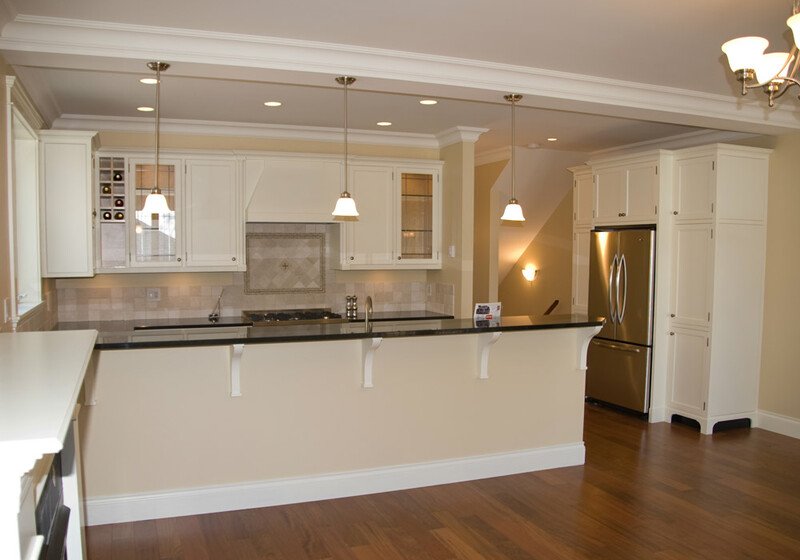 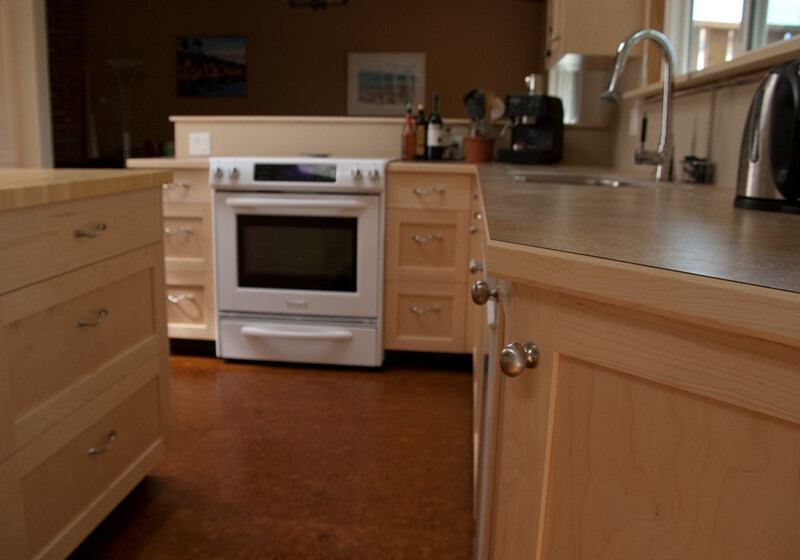 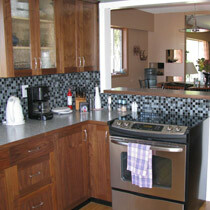 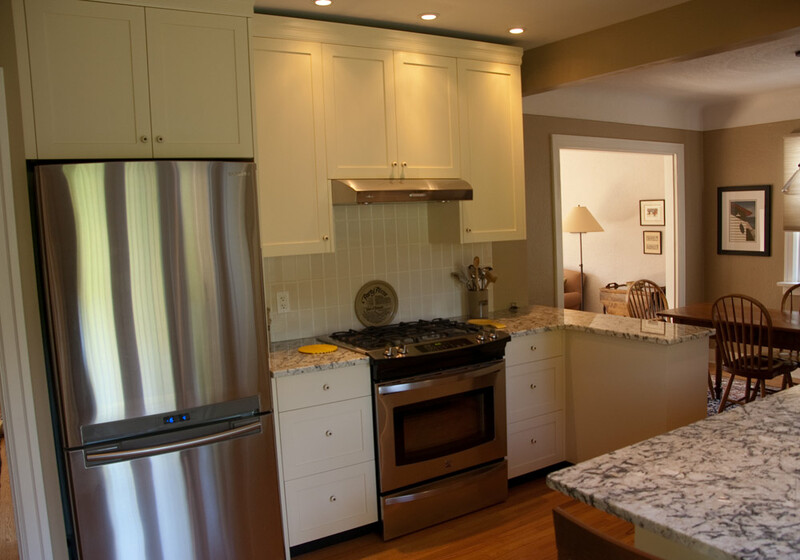 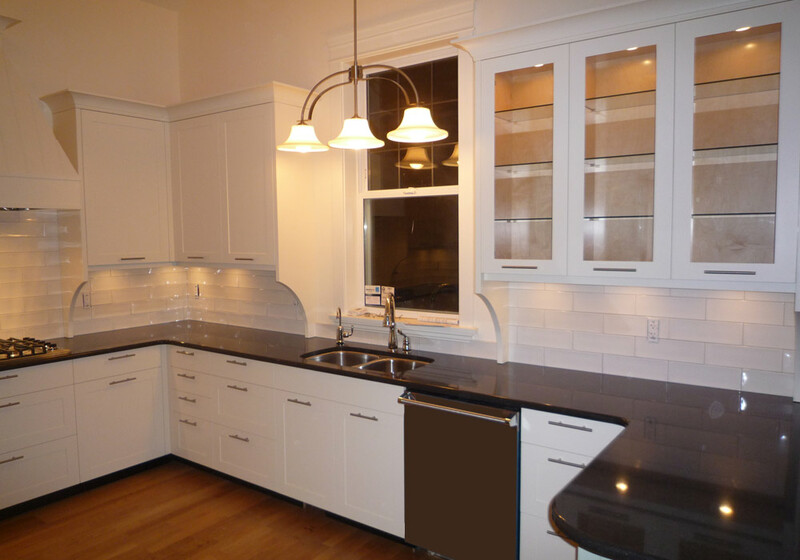 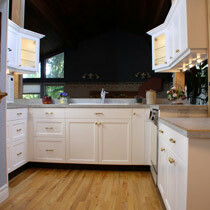 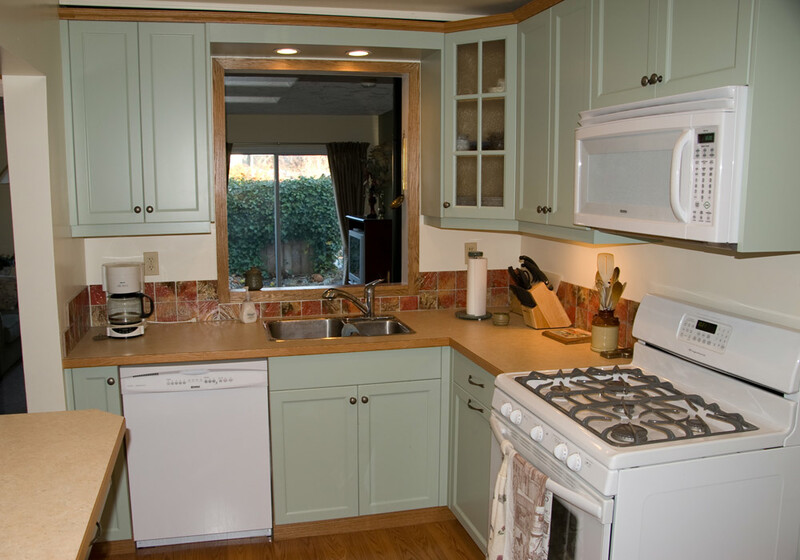 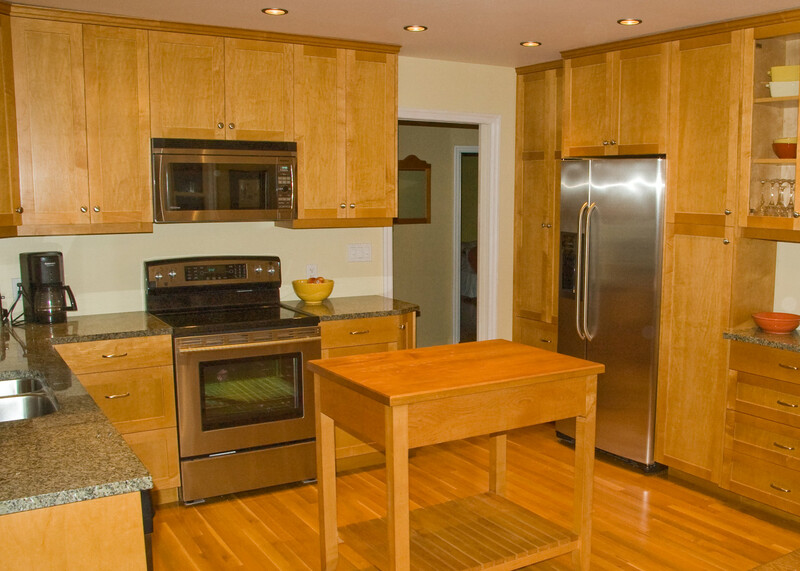 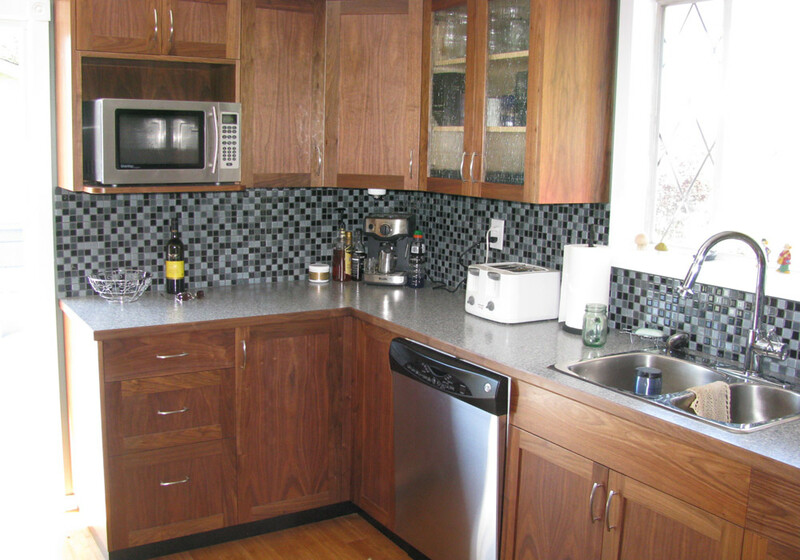 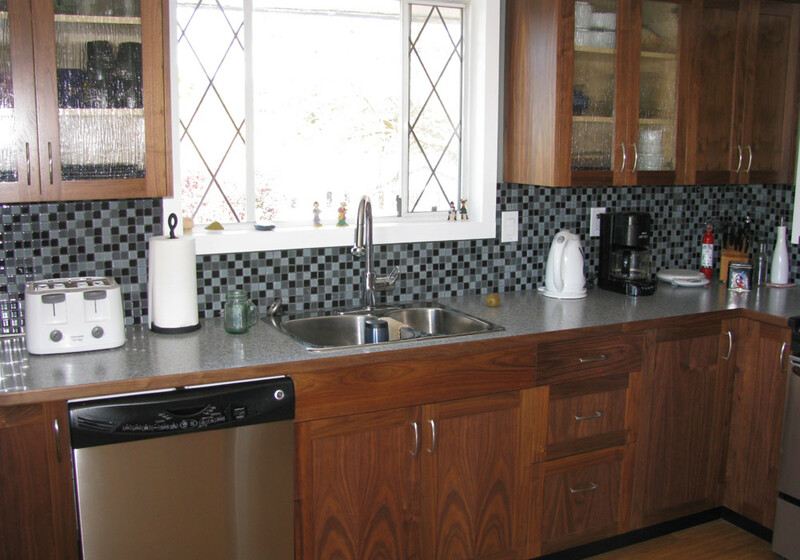 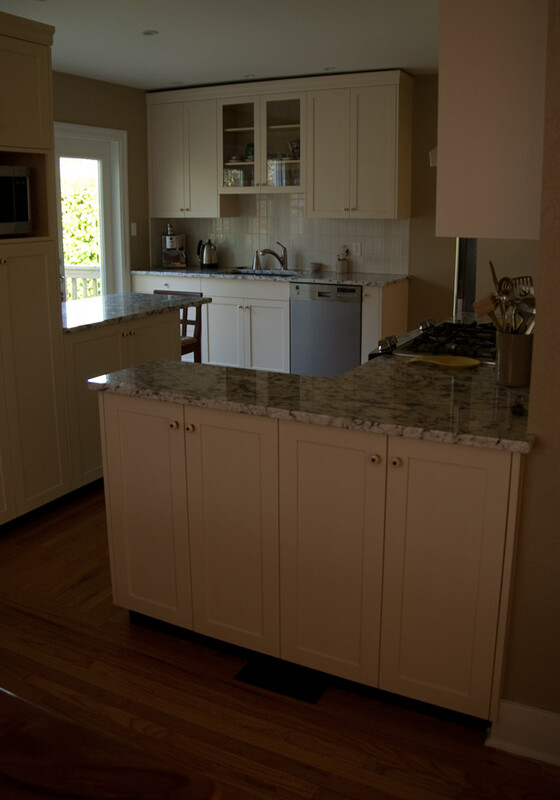 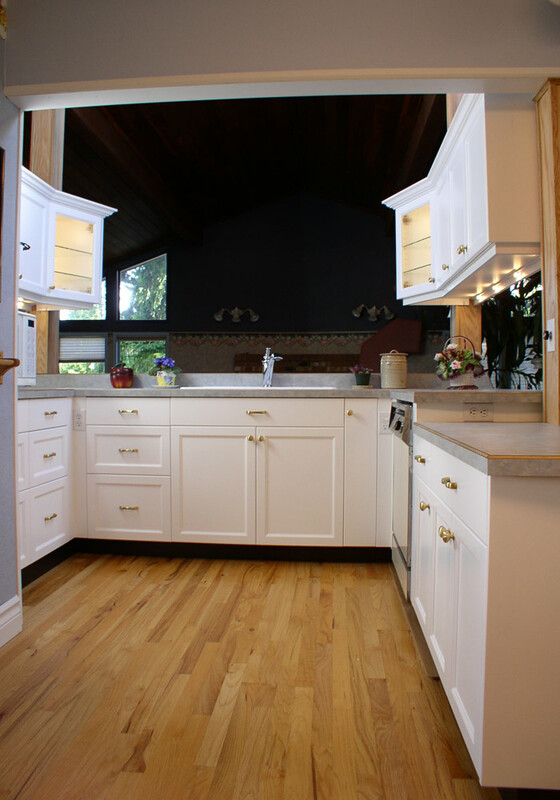 A well designed, high quality custom kitchen will endure both time and trend. 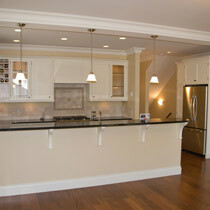 This kitchen features a custom made wine rack, a unique island, and a great wall unit for storage and display. 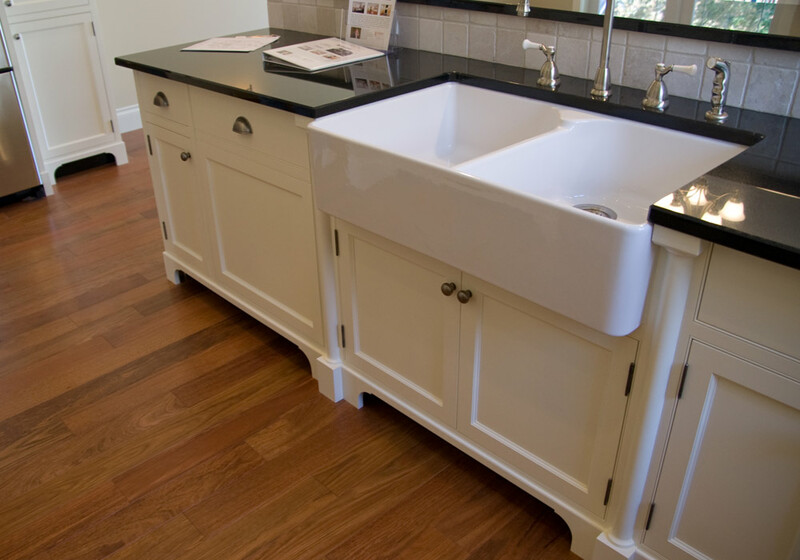 With a natural wood finish, we encourage our clients to look at different wood species rather than different stain samples. 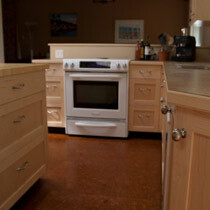 Stains are made from earth pigments and, thus, when applied to wood, literally muddy the natural character in the wood. 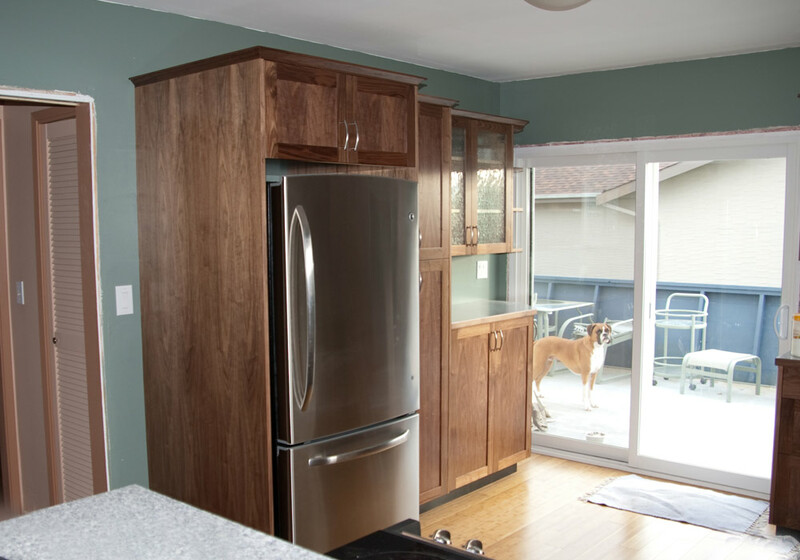 This client preffered a darker tone, and thus chose natural walnut instead of having us stain a lighter wood to the desired tone. 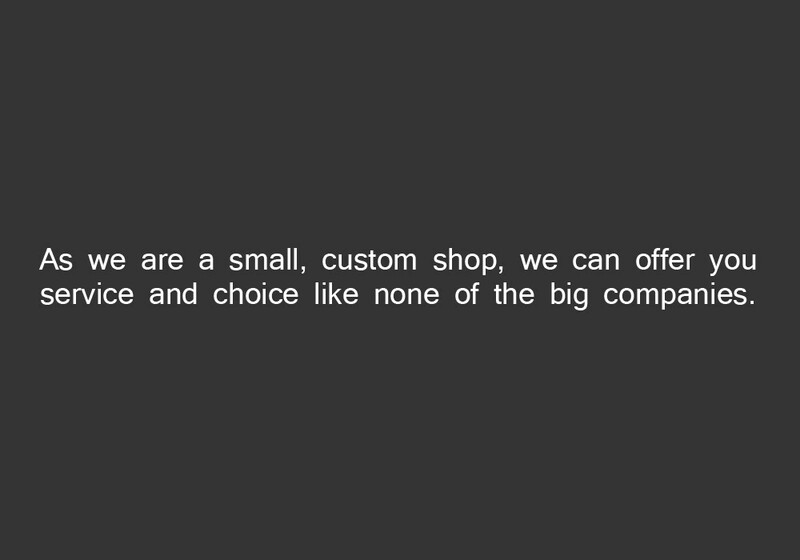 You are not limited to sample chains and stock choices. 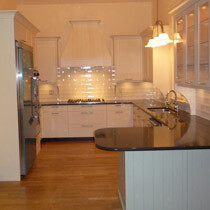 If you find a colour you love, but don't know its name or brand, we can have it matched. 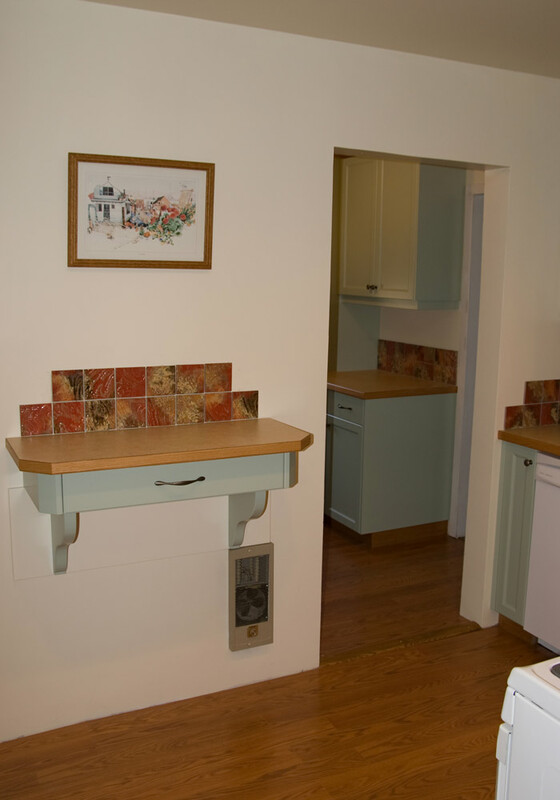 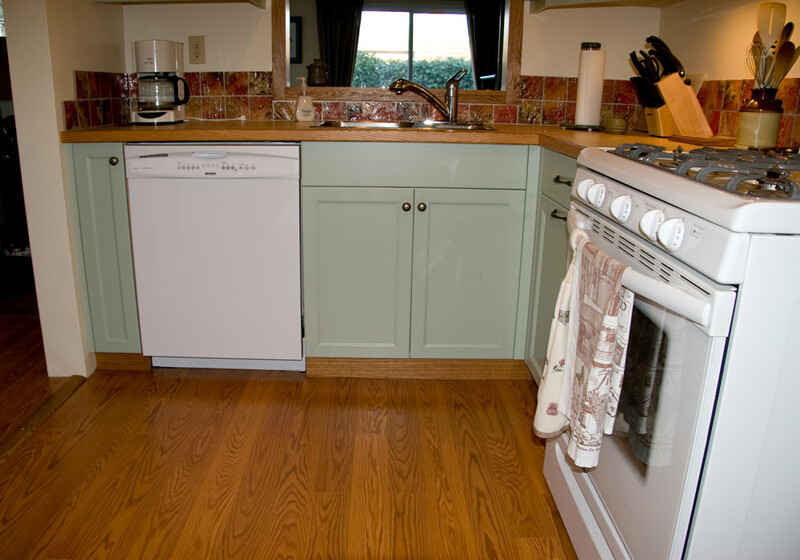 For this kitchen, our client found their colour scheme while travelling in New Zealand. 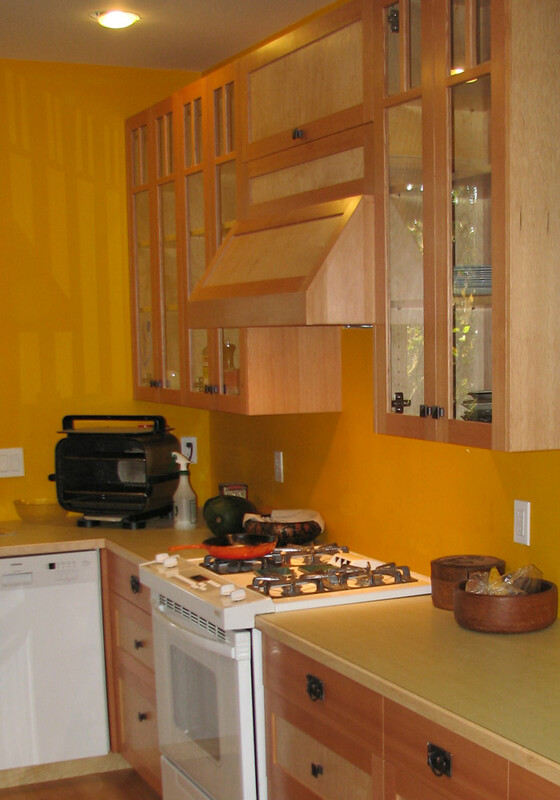 They brought us a sample of the paint and we had it colur matched. 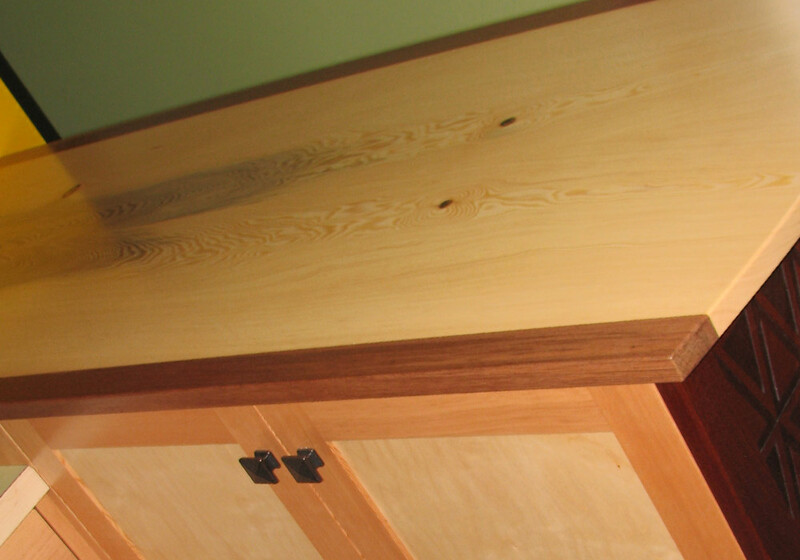 The great thing about wood is that it goes with other wood. 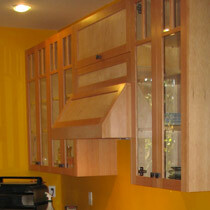 The faces in this kitchen blend a VG fir frame with a maple panel. 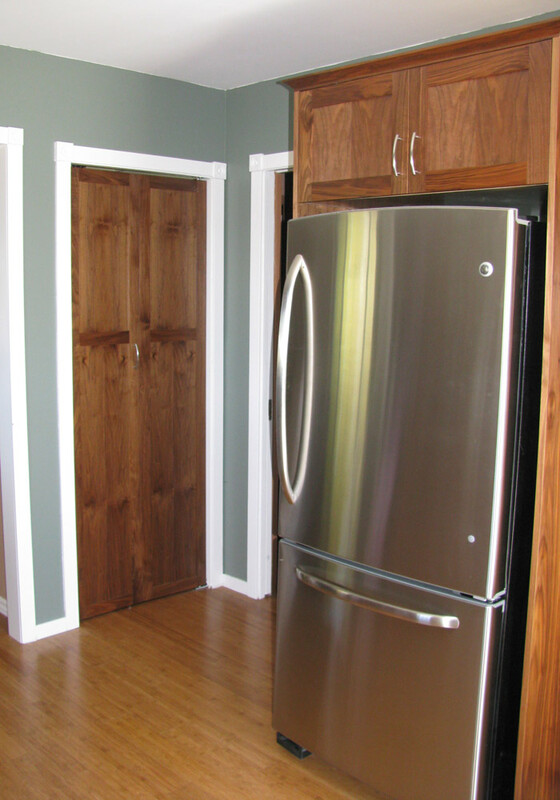 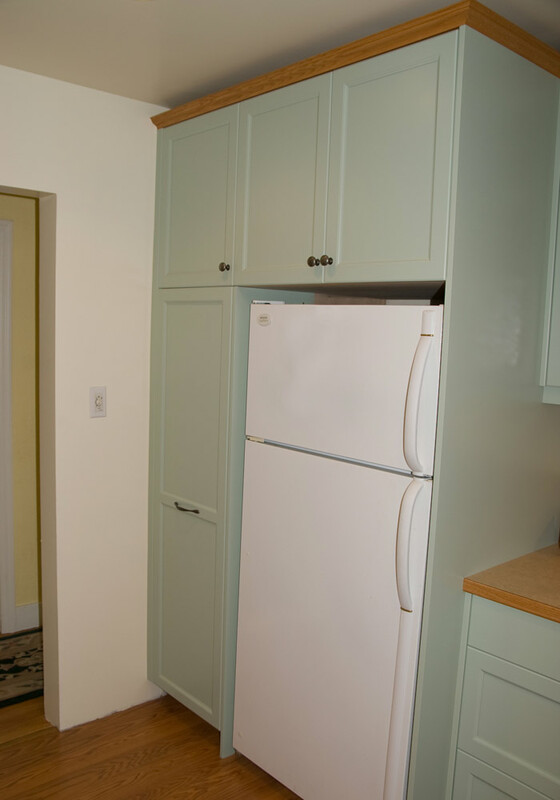 The wall cabinets that we made were inspired by an antique cabinet that was also used in the kitchen. 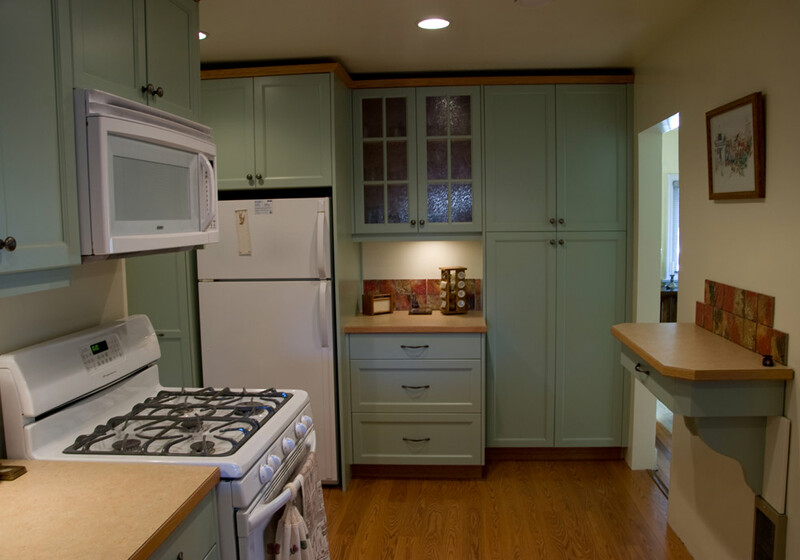 This kitchen is proof that to stay within a budget you don't have to sacrifice quality. 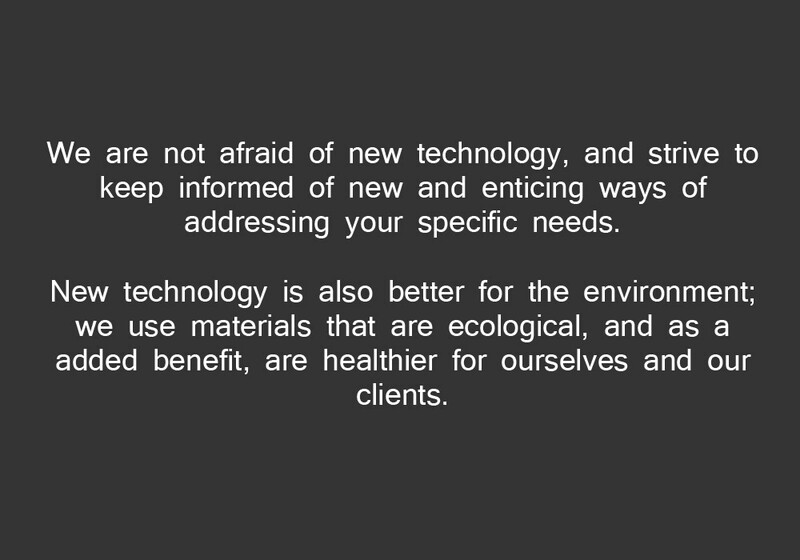 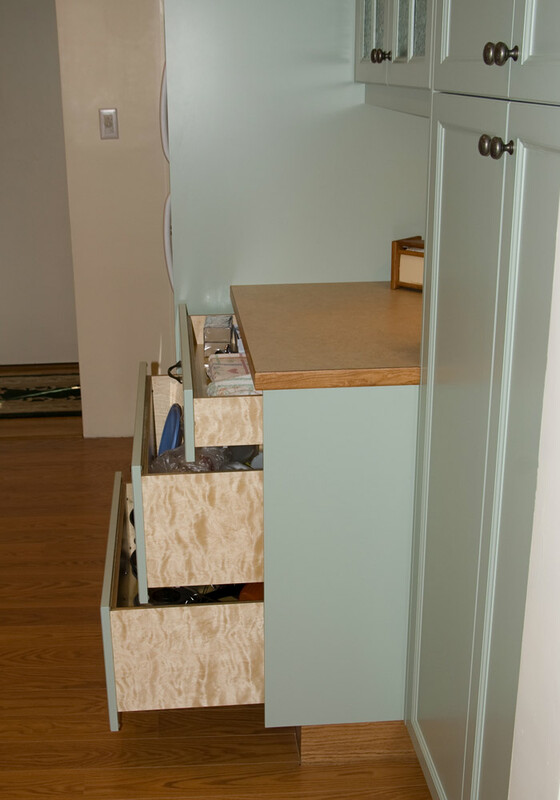 Using cost conscious materials and keeping the design simple are ways to maintain attention to detail, without breaking the bank. 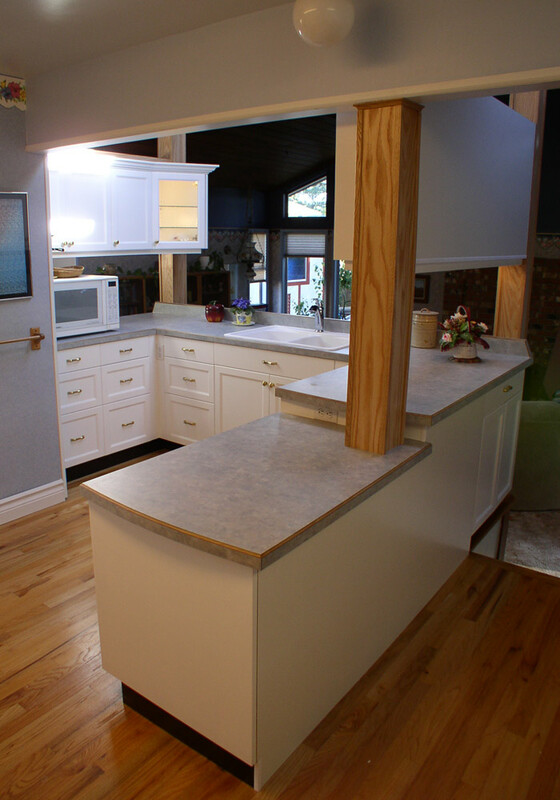 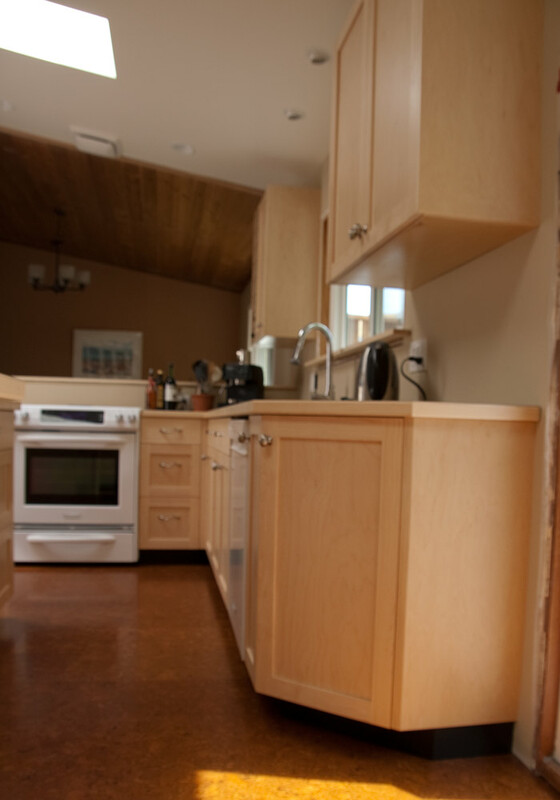 Special attention was required to create this space: Unlike most kitchens, there are no walls to define the space. 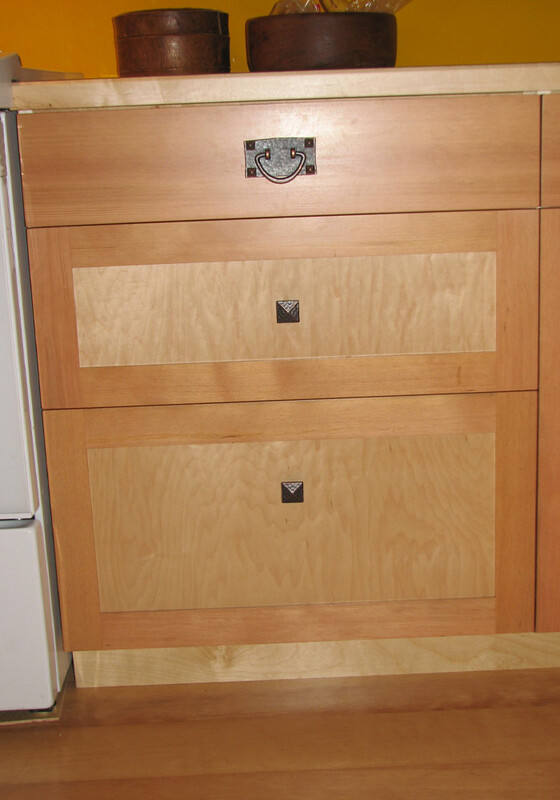 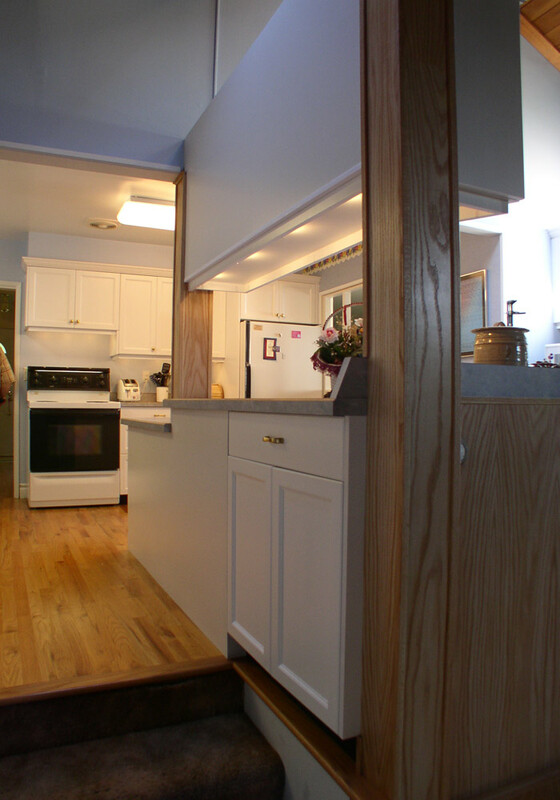 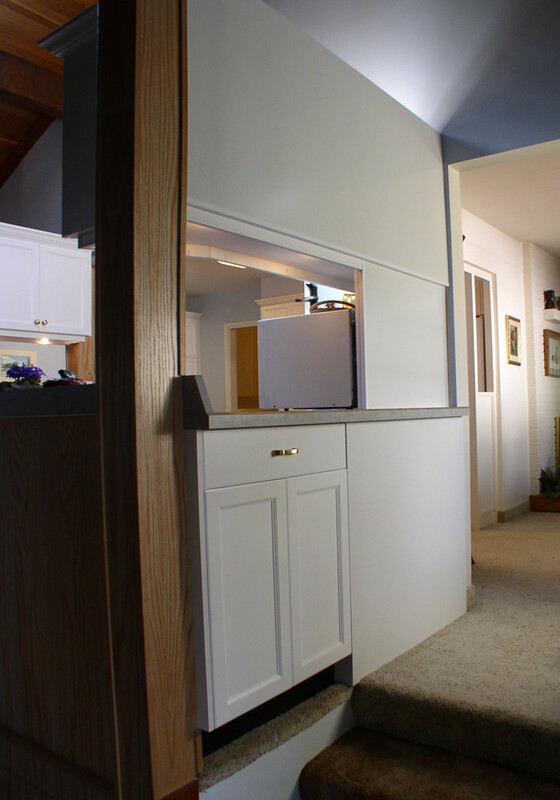 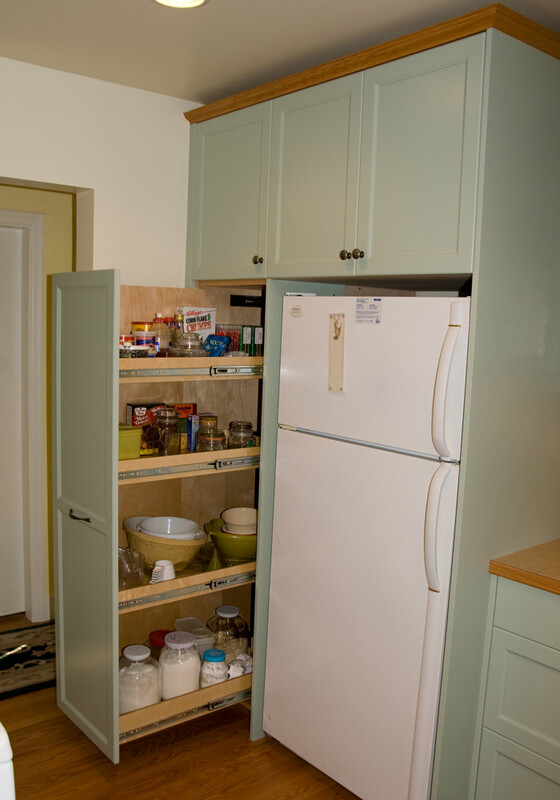 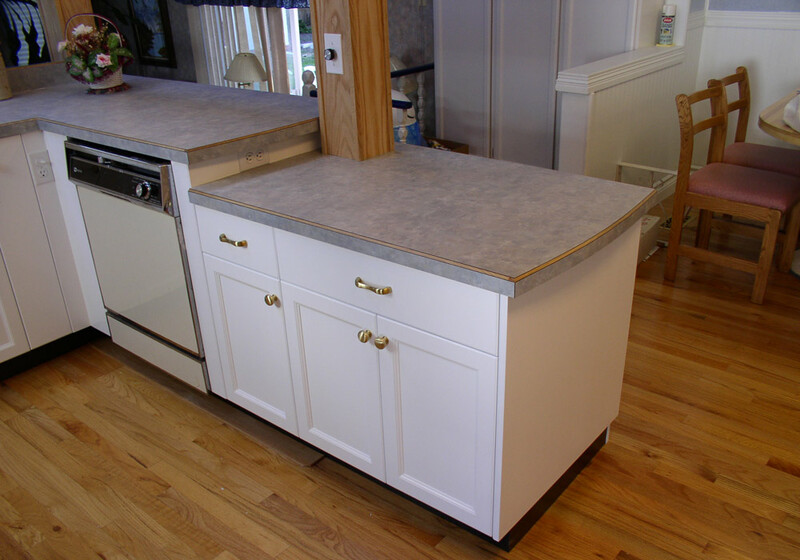 As a result, every side of the kitchen cabinets needed to be finished. 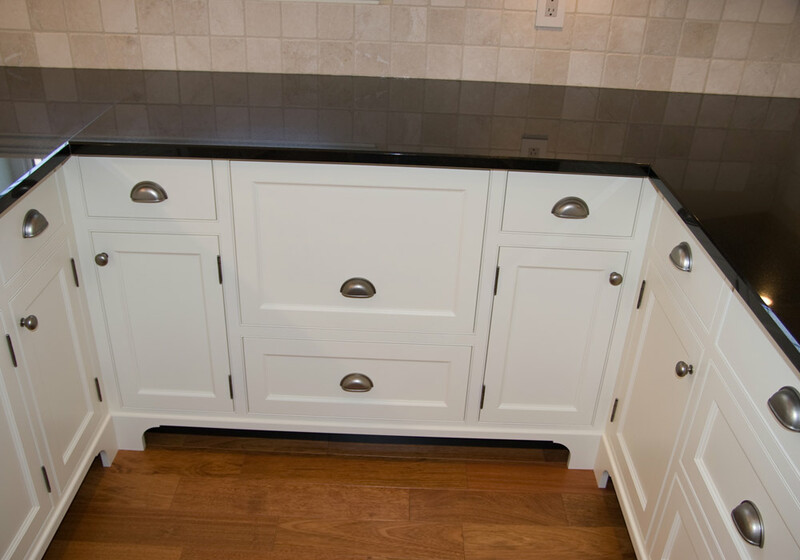 This kitchen features a dropped counter to serve as a bake centre as well as an extra deep pantry with full extension pullouts. 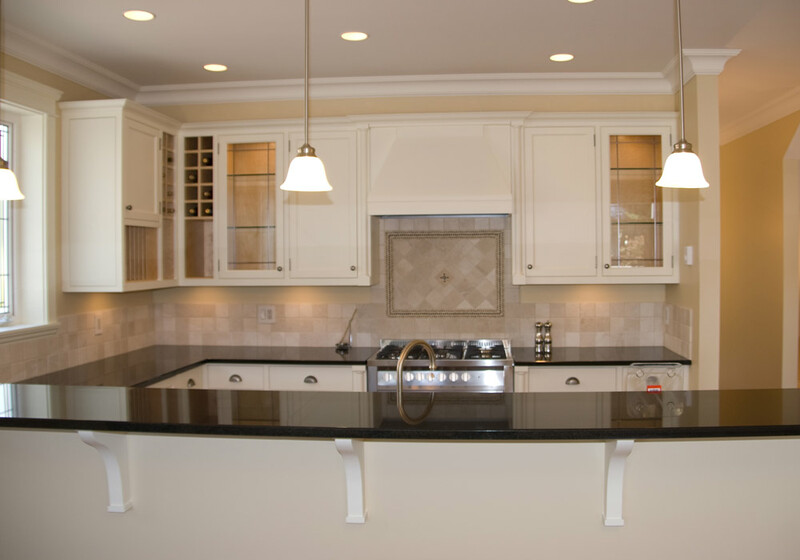 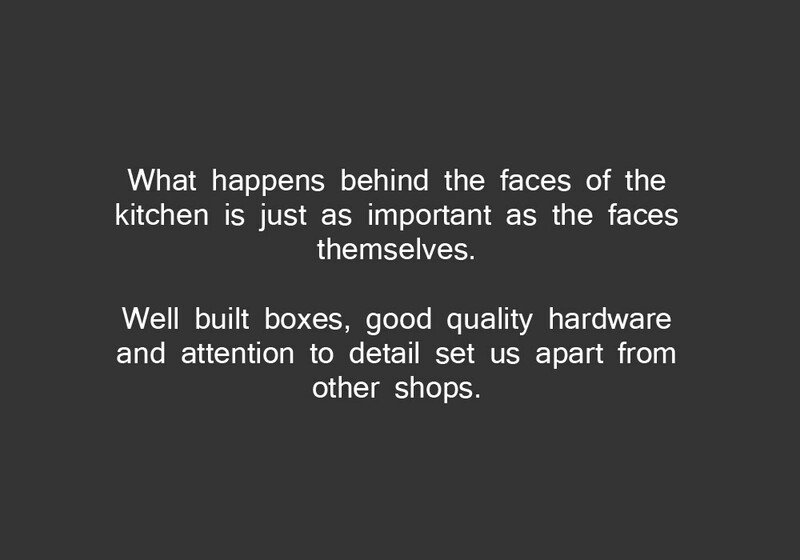 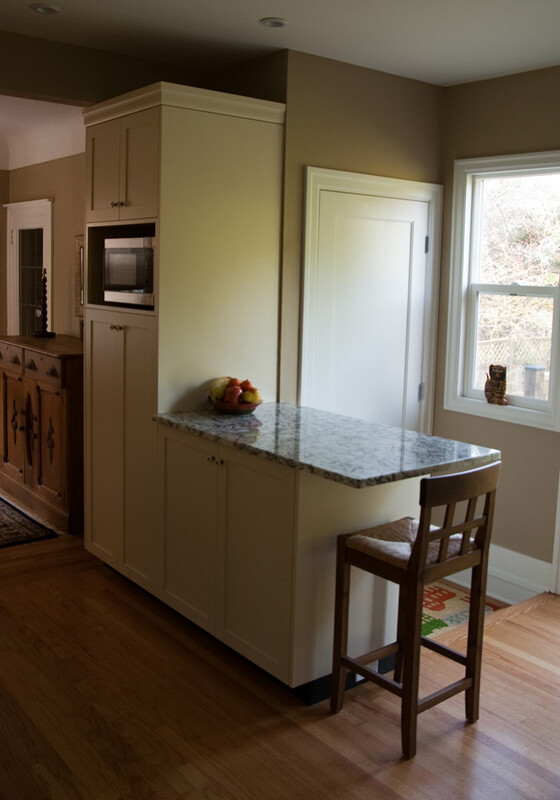 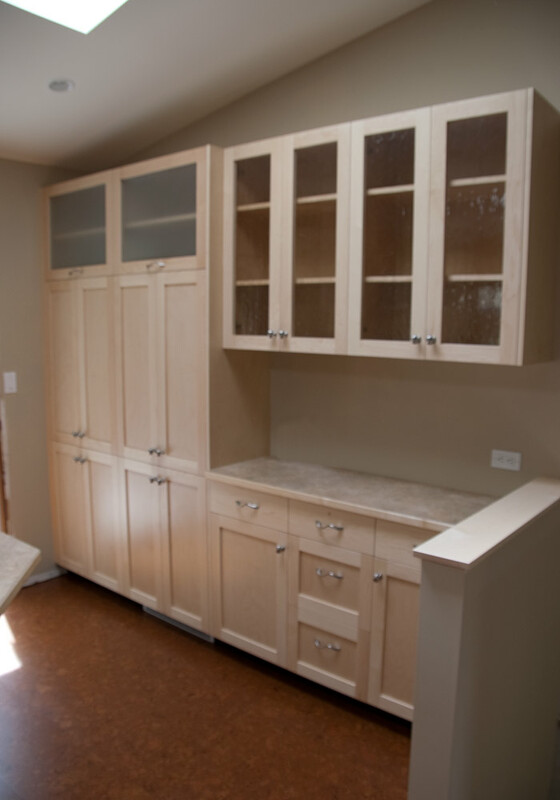 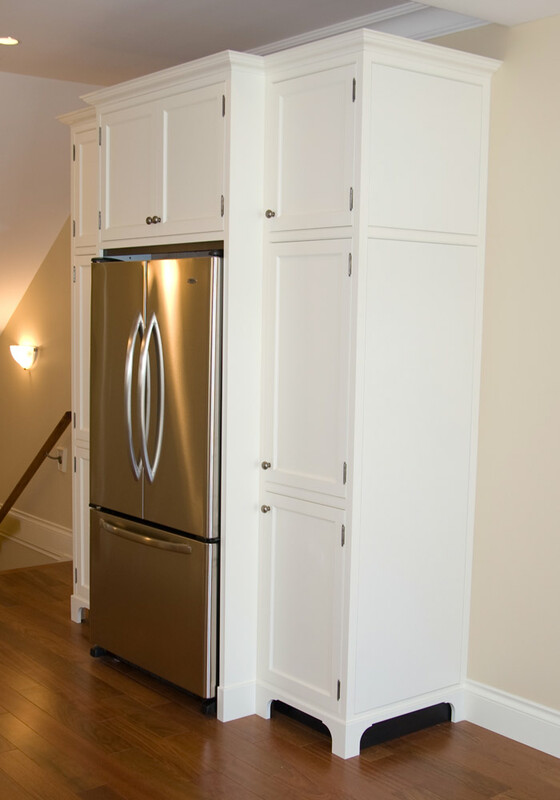 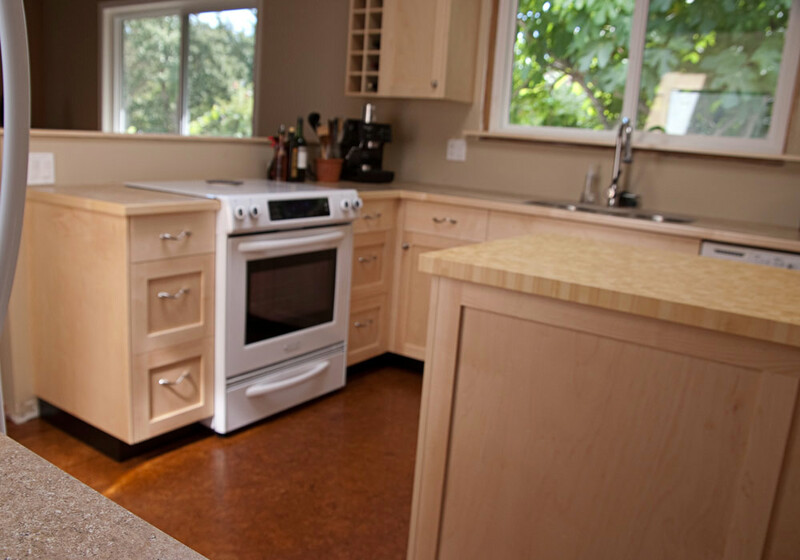 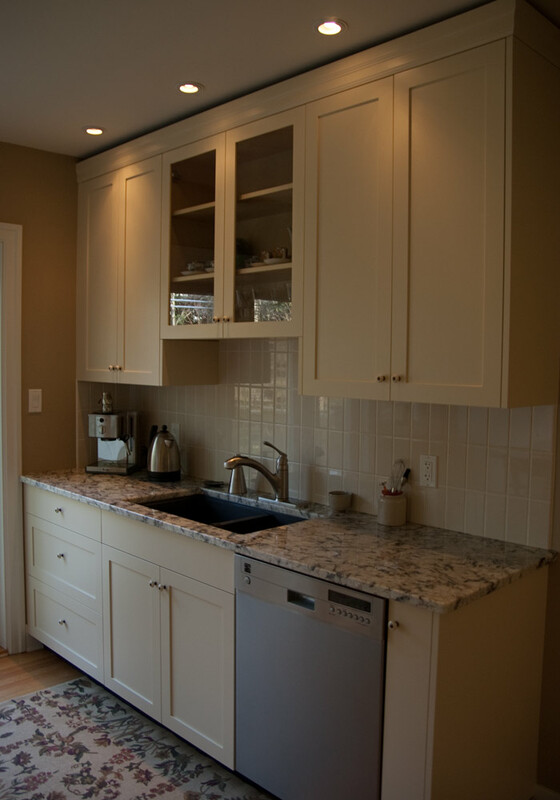 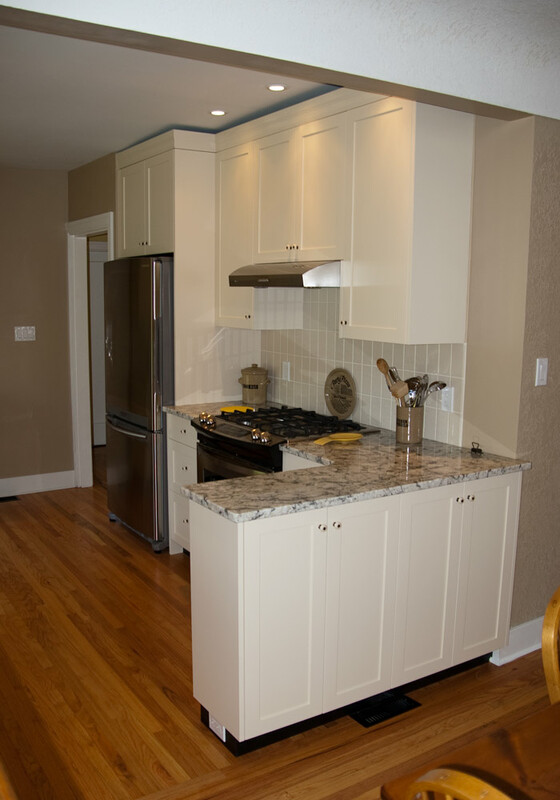 We can design and build you the kitchen of your dreams. 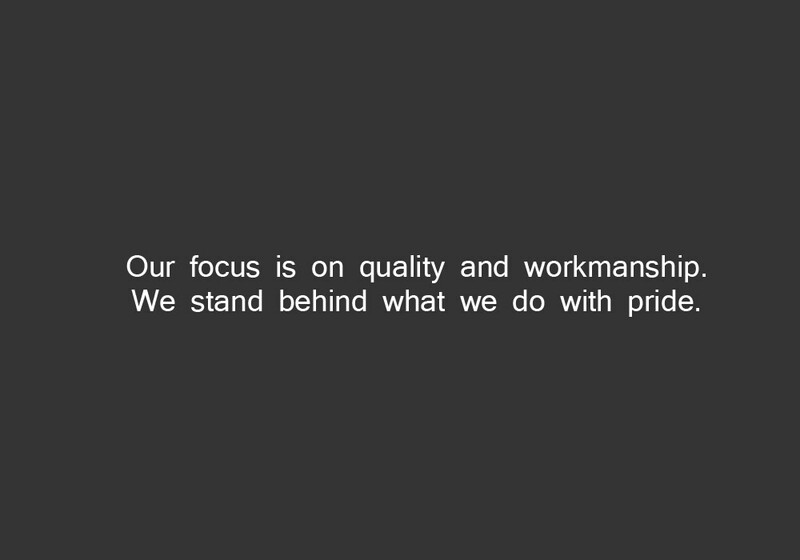 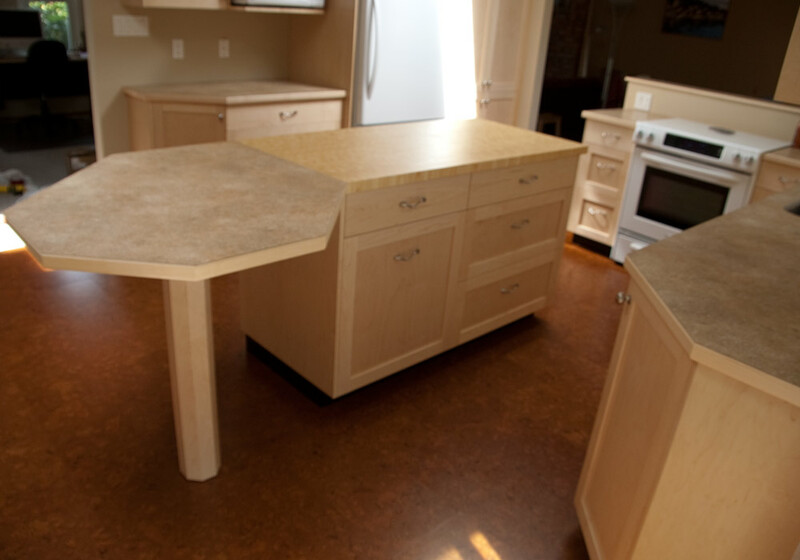 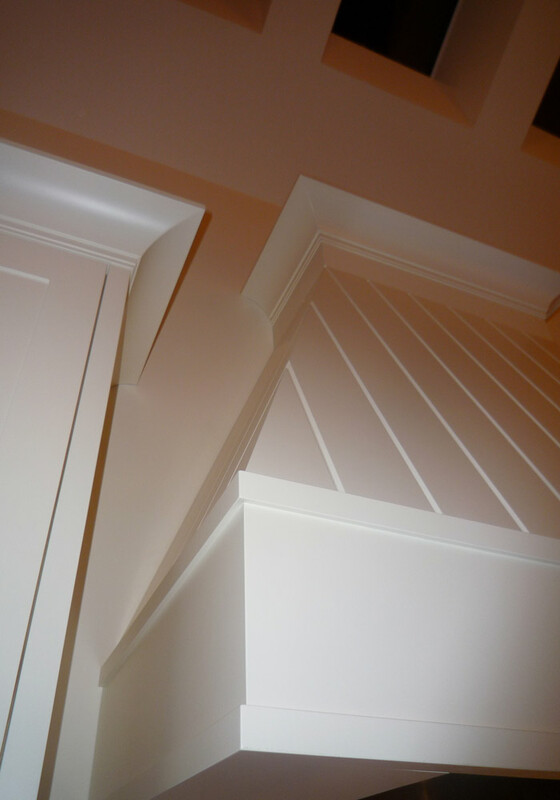 Not only do we build to a high standard, we design to one as well; prior to cutting any wood, we digitize the design. 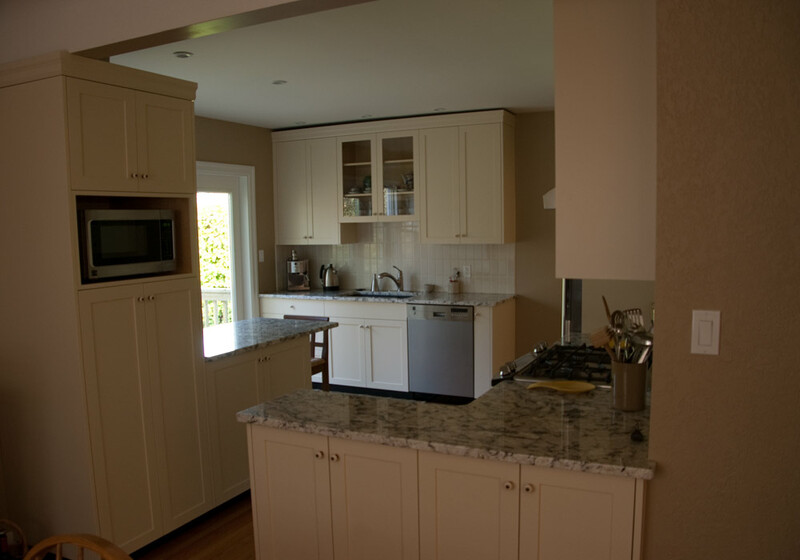 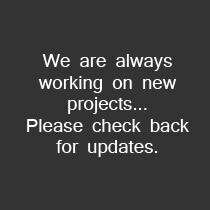 This enables us to go over it with a fine tooth comb, we also photorealistically render images that effectively convey how the project will actually look.